Doni is President and Chief Operating Officer of Stone Key Group. Doni has two decades of senior executive and investment management experience and most recently was a founding partner and Executive Vice President of L-1 Identity Solutions, a publicly traded market leader in the homeland security and defense industries. Ms. Fordyce was responsible for defining and developing the identity management industry for L-1 as a new market for investment by institutional and retail investors. In doing so, she was responsible for creating the investment thesis and building crucial relationships with the financial and investment community that helped support the 2011 sale of the company for an enterprise value of $1.6 billion. She simultaneously built what was the premier global brand in the identity management industry through a highly effective communications strategy spanning 12 acquired companies and 40 countries in which L-1 did business. Ms. Fordyce was also a founding partner of L-1 Investment Partners, a private equity fund which provided the $100 million equity infusion that paved the way for the formation of L-1 Identity Solutions in 2006. Doni joined Bear Stearns Asset Management Inc. (BSAM) in 1996 as a Senior Managing Director and shortly thereafter became CEO, President and COO of BSAM, serving in this capacity until leaving the firm in 2003. 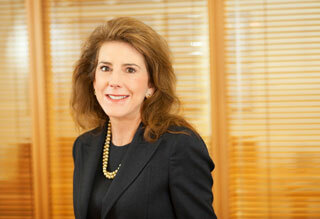 Under her leadership, the firm’s assets grew at a 25% CAGR from $6 billion to $24 billion. She was responsible for managing all aspects of BSAM, including the private equity, venture capital, hedge funds, structured products, managed accounts, mutual funds and institutional separate accounts businesses. Prior to joining BSAM, Ms. Fordyce worked at Goldman Sachs Inc. from 1986 to 1996, most recently as a Vice President, where she was a founder of the asset management business that included products and services for institutional and retail investors. Earlier, she was with the structured bond portfolio group at Goldman, where she designed and implemented asset/liability solutions, asset allocation and portfolio optimization and hedging strategies for institutional investors. Other professional experience includes tenure as an information technology consultant to investment banks and financial institutions, developing state-of-the-art networking and data management solutions. Ms. Fordyce is a member of the Board of Trustees of Lake Forest College and serves on Lake Forest’s Investment Committee. Doni is on the Advisory Board of RSR Partners and previously served 0n the U.S. Department of Defense Investment Board, and the Boards of Directors of The Big Apple Circus and BISYS Group (NYSE: BSG). Doni received her B.A. in Mathematics and Economics from Lake Forest College.